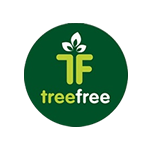 Tree Free Global’s vision is to reduce the footprint on our planet by using natural resources which are renewable, biodegradable, compostable and sustainable. Sugarcane is an annual crop as opposed to tree plantations which can take up to 20 years to mature. We use less resources than a tree plantation and our crops are harvested and regrown saving soil erosion and habitat. Once the sugarcane juice is extracted, we use the pulp once burned (Saving Emissions) to make our bagasse products. 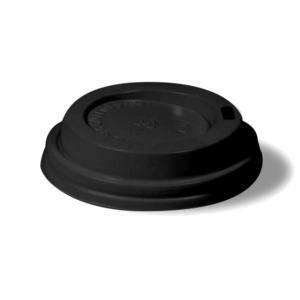 We consider our products impact on the environment in both manufacture and disposal. By using a waste product from an annual crop, we already achieve significant environmental gains. 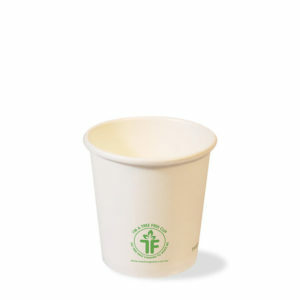 Our cups lining, and packaging lids are plant-based. 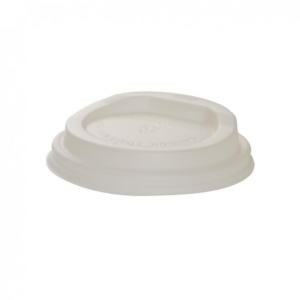 We use a bioplastic derived from corn starch which is also renewable, biodegradable, composable and sustainable. The pulp for the making of this paper is a lignocellulosic fibrous material prepared by separating cellulose fibres from fibre crops in this case the waste material left over from the process of squeezing sugar juice from sugar cane at sugar mills, this (& other fibrous plants) provide about 10% of paper pulp. Pulp is one of the most abundant raw materials worldwide, most commonly used as raw material in paper-making. 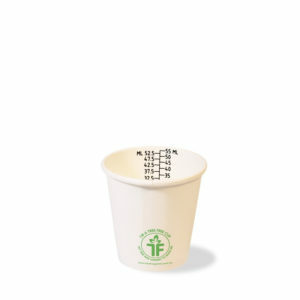 Used to produce our range of hot cups. 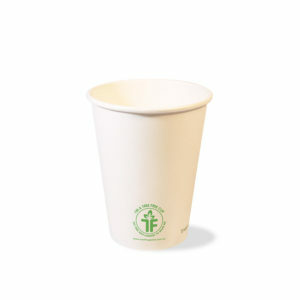 We use water-based glues for our cups, and the inks are made from soy. 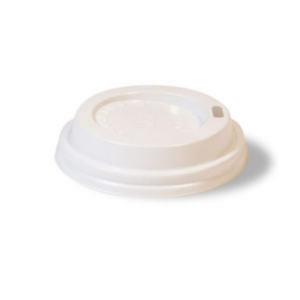 This is to make sure all parts of our cups are non-toxic. When we first started as a business, our cups were lined with PE which is Polyethylene. There are still a few of these in circulation. 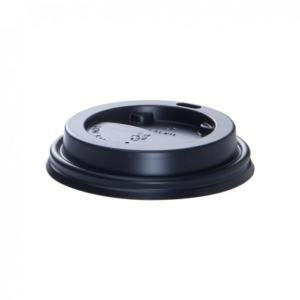 However, we have now made the switch to a plant-based lining (PLA) which is in line with our vision and missing to have the best disposable cup for the environment. 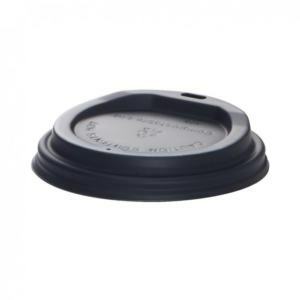 PLA is a better alternative to conventional plastic. PLA is a transparent material made from plants not oil. 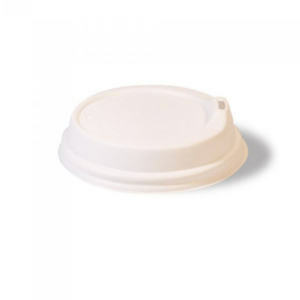 It is used to produce a range of cutlery, clear cups, deli containers and waterproof coating on paper cups. 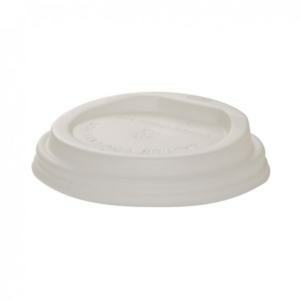 PLA is a bioplastic derived from corn starch which is compostable, renewable and sustainable. 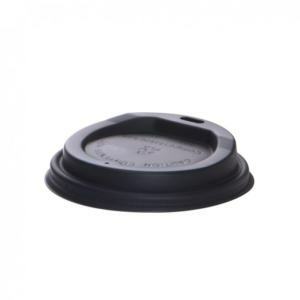 PLA is also used to make our lids. 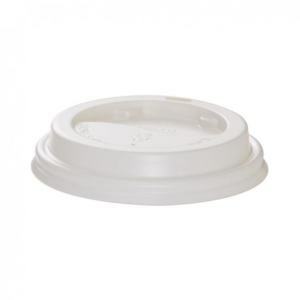 Using a bioplastic for our lids means they will compost down and will not leak out noxious chemicals and gases into the atmosphere and surrounding areas. 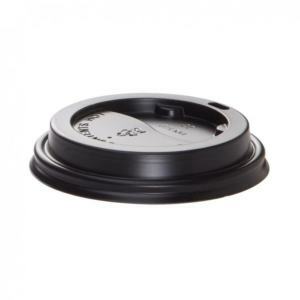 PLA has a CO2 footprint 75% less than conventional plastics even if it ends up in landfill. Once composted, it will leave nutrients to the soil. 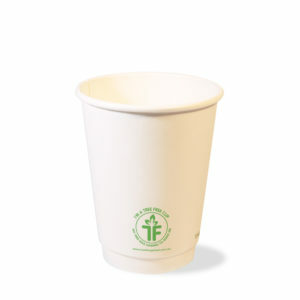 Should compostable cups end up in landfill, they will break down faster than a wood cup as they are plant based and will leave no harmful plastic behind. 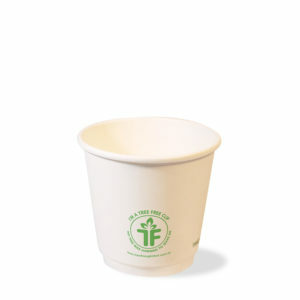 Tree Free Compostable packaging is made entirely from naturally occurring plant material. 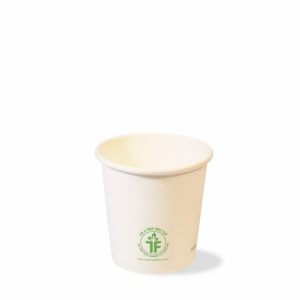 For our paper we use a waste product (bagasse) from an annual crop. We use water-based glue and soy inks that are non-toxic. 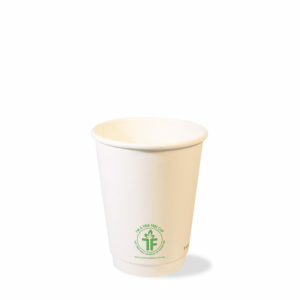 For our packaging we use annually renewable natural resources. 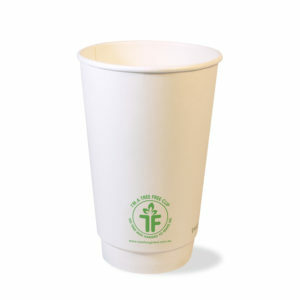 Our cups, lining and lids are all plant based and add nutrients to the soil as they break down. 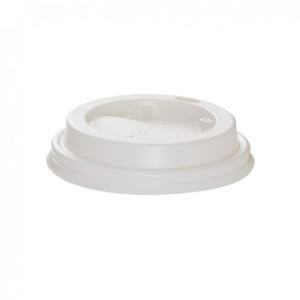 Our Tree Free cup coupled with our corn starch lid and lining can be commercially and home composted. We use less resources than a tree plantation and our crops are harvested and regrown saving soil erosion and habitat. 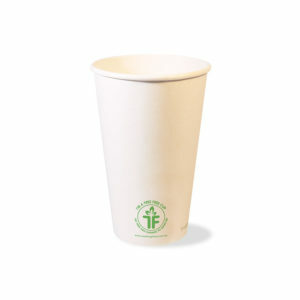 Our compostable packaging has a positive impact on the environment in both manufacture and disposal.